Discussion in 'Sound Science' started by TheSonicTruth, Jun 20, 2018. I have plenty of visual evidence of this phenomenon, the remastering craze which began back in the mid-1990s. Many legacy albums(1980s and earlier) from the following genres: Pop/Top-Forty, Classic Rock, Rap, Country, and R&B, had their original CD releases reissued, between 1995-2010, as "Remastered", or, "Digitally Remastered". I bought about a dozen of those CDs, not really paying attention back then to all that mumbo-jumbo, but buying them simply because I liked those artists and had to have those songs in my collection. I did notice one thing though: these CDs played back much louder, at the same volume setting used to play my older CDs. Over the next few years, via Goodwill, Salvation, Discogs, record fairs and tag sales, I found original CDs to supplant their newer, remastered mates in my collection. 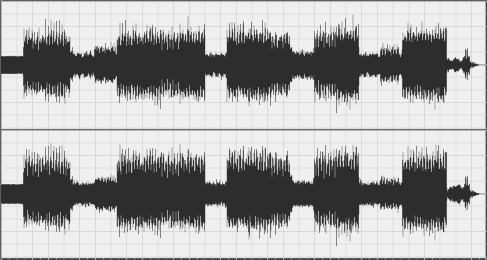 And I noticed the same above pattern with most of them: The original CD waveform appeared naturally ragged, with occasional spikes reaching the top of the workspace, while the RM CD waveform of the same song filled the entire field! And I am far from the only home listener, part time audio technician who has done this, and noticed the same pattern among waveforms of 'music for the masses'. Now the engineers on here, with all due respect are trained accomplished in their fields, will tell those of us who have done this research: Use your ears. And ask: 'How does it sound?' with regards to the remaster. This is why those of us music fans who have learned about these tools treat remastering, at least of the music they grew up with, with suspicion. Indeed, it looks - and sounds as if - remastering of mainstream legacy(pre-1990) material consists primarily of 'compress and/or limit, & crank em up'. My conception of remastering is: creating a new master in a higher res digital format, with just minor channel adjustments, delicate EQ, and a check of the pitch and tempo, then releasing it on CD, vinyl, or digital downloads for enjoyment by all. skwoodwiva and trellus like this. Yes remastered is typically louder, and sometimes that works, but often enough, the effort results in fatiguing, less dynamic sound. There are good remastered efforts that you hear about from time to time, but anecdotally those seem to be in the minority. I would like to see a technical brief from the sound engineers for a re-master that describes what was done (just briefly) and how and why it should be an improvement over the original release, Let's face it, if we just need the music to be louder, we can add a little gain via software in such a way that the sound is louder without audibly degrading the sound. So if the studios are just making the music louder, albeit cleaner than our software efforts are achieving, that in my mind doesn't justify a re-master release. TYATYA, trellus and TheSonicTruth like this. I posted some articles from Sound on Sound in another thread, that I found on my own, that others had found in earlier posts as it turns out. The net effect is that the dynamic range in recorded popular music is about where it has always been, but the initial recordings in today's music had a wider dynamic range than in the past and so needed more compressing than was required in the past to keep them within normal practice standards. The problem creating your valid perceptions seem to be two-fold. 1) The average loudness of a track is being increased, in part by nuanced limiting of peaks,even though the full dynamic range is preserved. I think of this as being similar to trends in photography like making pictures brighter and brighter but still preserving the deepest blacks, as one of the articles described. Bright (or loud) but technically sound grabs attention, both in music and photography, though artistically it is the cart before the horse, in my humble opinion. 2) The second is yes, sound engineers seem to be pushed to get out the product with less headroom, to get the track as loud as possible in a music streaming or shuffle play setting. Another thing is that what once would have been considered over the top compression is used as a creative tool to intentionally create compression pumping effects in the music. And another thing is that for pop music in many senses there is no "reality" as a reference point. A big problem for consumers is having to reach for the volume knob all the time. 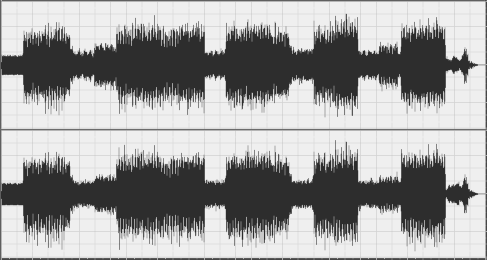 With all of this going on the perceived loudness between songs is exaggerated. This is especially so if the classical and jazz recordings were made to more exacting and conventional standards, to give some sense of an event plausibly based in reality, and are included in with modern or remastered pop music in a shuffle play playback mode. I love absurdly eclectic mixes so this is a problem for me personally. So I think in the end it is really important to read up and not to over-generalize or over-simplify or point to certain people as bad guys. If we follow the money, yes that is a distorting influence in the process, but that's not so much the influence of those in the performing or recording aspects of the the audio process. Each CD edition is basicly it’s own thing. Which means that every CD is different. But as a whole I have completely encountered what your post is about here. The engineers have simply made the files louder. It’s especially noticeable too, if I have the original CD then get a newer greatest hits CD, the songs can be louder and compressed. This has been called “The Loudness War” which could result from engineering making songs to sound louder hence better on non-audiophile equipment. Still if you end up collecting a ton of stuff from an artist some remasters can come out really nice. There is always a chance of finding a remaster where they actually took compression as a factor and left the volume levels down. So it’s difficult and not correct to say it’s always done across the board, because it’s not. With that way of thinking someone may not even take a chance on modern remasters and possibly miss out on some stuff. I’m not going to list artists but some albums from the early seventies have come out numerous times, with some editions sounding great and some editions poor. If the artist is really famous there can be multiple editions of their CDs. The interesting thing is albums are mastered twice, once for vinyl and once for CD. Still they can be remastered for HD or be remastered over again for CD which always gives them the opportunity to do it right. Still at times it’s always the lower volume CDs which tend to sound better, but still it’s not a set in concrete rule. There seems to be some loud remasters which end up not sounding compressed and seem to do everything right. When writing an review of the CD on Amazon for the bottom one, I made it clear this kind of "remastering" is not cool at all! When I purchased some CD from the mid 80's (Kate Bush/Peter Gabriel) I made sure I get the original versions instead of "remastered" garbage. 'Remastered' just = Cranked Up - At least in Popular Genres - I have plenty of visual evidence of this phenomenon, the remastering craze which began back in the mid-1990s. 1. Well that's just bizarre. It's bizarre because the "visual evidence" you've presented in fact actually contradicts your assertion!! 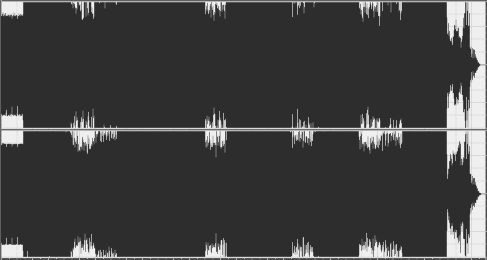 The summary states: "The tracks on this album have been dynamically and spectrally altered, as well as track length on the 'remastered' version" and furthermore, it's visually obvious from the waveform that the track length is different and visually obvious from the spectro-analysis that spectrum/frequency content has been altered. Therefore, YOUR OWN evidence clearly shows that "remastered" is NOT "just = cranked up", that in fact there were various other processes involved in the remastering besides "just" increasing the loudness! 2. Exactly, that's YOUR personal "conception of remastering" but you don't get to dictate what the "conception of remastering is", the recording rights holders do! Fundamentally, the actual "conception of remastering" is to create a new master that is better than the original. The question is therefore: What do the recording rights holders believe constitutes "better" for their target consumers? This is all a pretty straight-forward concept to grasp and has been explained to you, in some detail, on at least two or three different occasions. Why then do you ignore it all and just keep repeating the same erroneous thing over and over? He's paying their rent though. He decides what he wants, and doesn't, and will stop paying their rent if they piss him off by not providing it. Simple ecomomics, man. With the now today new plethora of vinyl rips which you can hear, it brings to light many answers to questions........ And of course creates new questions of it’s own. It’s been a valued and understood phenomenon that the great 1970s albums never made it to CD in the same sonic quality which folks believe they heard on the original vinyl release. This is in many ways an easy answer. The original release was made at the time when vinyl was the main format. So engineers were used to mastering the albums and all was well. But even in the Eighties and Nineties those albums at times never received a good CD reissue. Some of this is that the masteres used for vinyl are different than used for CD. I’m definitely leaving the CD vs Vinyl debate out of this. But for vinyl the RIAA EQ takes the bass frequency out, so the needle doesn’t jump out of the track. Then the RIAA EQ phonograph preamp puts the bass frequency back in prior to going to the preamp and amp. In the end this simply makes vinyl sound different than digital. This is before studing the other changes the two formats differ from each other with. So maybe due to modern brick wall remastering or maybe due to folks simply liking vinyl playback, we are now in the soup of vinyl rips. These being made by the public at large are composed of various levels of quality. And with home brew affection each recording is a profound joy for the owner. And at times they offer an alternative listen to albums which are found to have both good and bad CD releases. It’s safe to say many offer a slighly different soundstage and tone. Some are backwards and out of phase due to cartridge wires placed wrong. Some have the right channel on the left and the left on the right. Most are not as accurate as their CD counterparts. But in the end a few are wonderful. Still many more people find that the vinyl copies are thought of as superior; maybe due to vinyl being better, or the complete crap left over by the loudness wars in people’s home CD collection. In spite of it all I have had the best luck with most CD first editions and I cared for most of these CDs when they were first released in the early 1990s to 2003. Atter about 2003 there simply ended up with a lot of bad masters made. But suggested earlier every once in a while a good mix comes about....but it’s rare. Yes, it is simple economics, man! He is obviously NOT paying their rent, he is not "the" consumer, he is "a" consumer. What "pays the rent" is what a large bunch of consumers want, not what he individually wants and so no one cares in the least "if they piss him off" if he's not in that target bunch of consumers! You're correct, this is simple economics, extremely simple economics in fact, so how come you don't understand it, especially when it's ALREADY been explained to you in another thread where you demonstrated then that you didn't understand extremely simple economics? OH here comes the party crasher Gregorio! That dude in Back To the Future who struts into the fifties diner and yanks the jukebox cord out of the wall! The one who says "McFLYYYY! Ignore the visual evidence! Just use your ears McFly! Gregorio, I know of a guy over in DC who would just love to have you in his cabinet. Shall I forward him your credentials? Cranking up may not have been the only process in that example, but it sonically and visually(like it or not G-Man!) the most prominent and obvious. And I have half a dozen more such analyses of legacy classic rock, hip-hop, and country in which 'compress and/or crank-up-&-limit' is the common denominator. But is that portion, and read carefully: Is that portion of the remastering process - cranking up the final stereo mix and brickwalling it - really making it "better"? Or just, as you stated, creating a new master that is different from the original? Of course, to mastering engineers like yourself, EVERYTHING is 'better': producing an entire project, from recording to shipping to retail, DDD, every remaster, high-res downloads are always 'better'. Again, it's a line you have to toe to represent the industry you work in - even if those statements aren't true in every case! Gregorio: Remember how I said I'm using blogs, FB pages, and good old word of mouth to discourage fellow music enthusiasts from buying the remastered versions of vintage artists and albums? Well now I'm going to research those remasters for which specifically you are credited! I may not mention you by name, but I will discourage fans from buying that product, and instead seek out the 20, 30 year old original CD or even the vinyl if necessary. Music fans lurking here: there you have it - Remasters to avoid, and originals to buy instead. Spread the word! And be sure to look for a list on my blog and Facebook Page. If only reality was as binary as you insist on trying to make it. The RIAA record and repro curves are exactly complimentary, and are not what makes vinyl sound different from digital. However, as a result of the record curve, there are physical limits imposed by the groove itself and the stylus that cuts it, as well as the stylus that plays it. These limits vary with frequency, but as long as they are recognized and understood by the mastering engineer, the master can be cut at a level that results in reasonably linear response. In other words, little spectral difference from digital as long as levels are kept below maximum limits. The factors that create the difference between vinyl and digital are nearly all the result of separate and radically different mastering chains, plus the limitations of the vinyl in terms of separation, distortion, and noise. So maybe due to modern brick wall remastering or maybe due to folks simply liking vinyl playback, we are now in the soup of vinyl rips. These being made by the public at large are composed of various levels of quality. And with home brew affection each recording is a profound joy for the owner. And at times they offer an alternative listen to albums which are found to have both good and bad CD releases. It’s safe to say many offer a slighly different soundstage and tone. Some are backwards and out of phase due to cartridge wires placed wrong. Some have the right channel on the left and the left on the right. Most are not as accurate as their CD counterparts. But in the end a few are wonderful. Still many more people find they the vinyl copies are thought of as superior; maybe due to vinyl being better, or the complete crap left over by the loudness wars in people’s home CD collection. In spite of it all I have had the best luck with most CD first editions and I care most of these CDs when they were first released in the early 1990s to 2003. Atter about 2003 there simply ended up with a lot of bad masters made. But suggested earlier every once in a while a good mix comes about....but it’s rare. Remember, there often IS a big difference between the vinyl and digital, because it's mastered differently, because it can be and there's a desire to make it different. It's not so much a function of the medium as a choice made in production. In, specifcially, the genres listed in this thread and its title, cranking up seems to be the method. Not on every single remastered CD, but, in the examples I own, it is prevalent. Yeah, but some politician - there, I said it: POLITICIAN - will come along telling you the bottom version is "just as dynamic as the original", and to ignore that visual evidence. we are now in the soup of vinyl rips"
I'm sure it is one contributing factor for the present LP resurgence - but the 'pros' on here will likely deny it. Remember: modern mastering is 'the best'!